I never considered myself to be biased, but in some situations I just can’t help myself, and start to make my own expectations on how or what a certain person must be like. And because of that get a little surprised when the person turns out to be quite different. This isn’t necessary a bad thing, on the contrary, it’s mostly for the better. Take this boy, he’s a buddhist monk – or about to become one, I’m not sure if they are called monks this early on – from Thailand, I don’t know that much about buddhist monks and their everyday life, but then I didn’t think it would in involve too many electronic gadgets, and certainly not digital SLR’s. I was walking around Wat Saket Temple Fair (Temple of the Golden Mount) in Bangkok, when I passed this boy supervising – or something like that – some other kids washing the floor, I started shooting some photos of him and when he saw me, he stopped and stood still for me to take my photo, when I finished I looked at him and gave him the thanks a lot smile and was about to walk on. Well you can imagine that I was a bit surprised when he came over to me to have a look at the display on the back of camera, to see his photo, I – of course – showed him, he took a look, nodded, smiled at me, and them went on with his business. 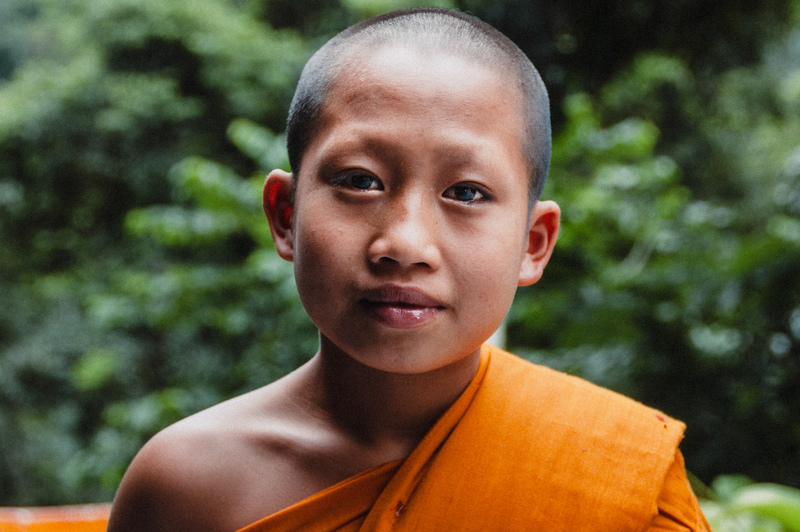 I also walk away with a smile on my face, for two reasons, one I got a really good portrait of the boy, and secondly I really had to reconsider my idea on what buddhist monks know about modern technology, because this boy really fooled me. Small Boy of Faith and Surprises by Bo47 is licensed under a Creative Commons Attribution-NonCommercial-NoDerivatives 4.0 International License.